Premium quality 100% pure and natural coconut oil. 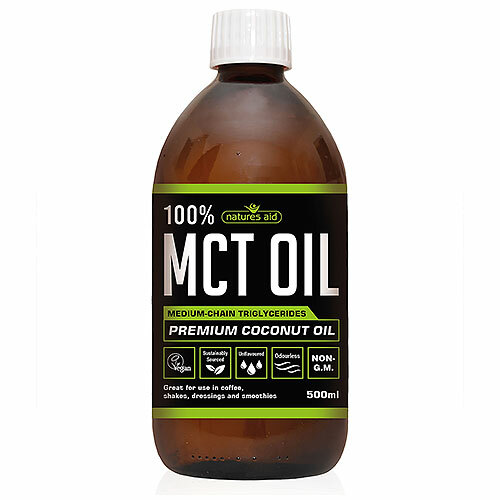 MCT oil is believed to be metabolised more easily by the body than standard coconut oil, due to the removal of the long chain fatty acids. Add 1 tablespoon to coffee, shakes, dressings or smoothies. 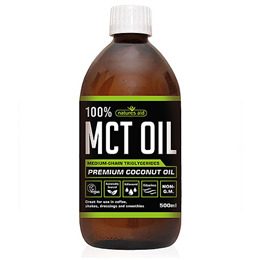 Below are reviews of Natures Aid 100% MCT Oil - 500ml by bodykind customers. If you have tried this product we'd love to hear what you think so please leave a review.